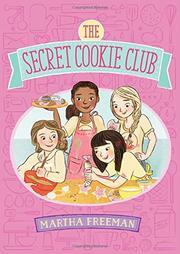 The four members of Flowerpot Cabin reunite for another summer of friendship, romance, mystery, and cookies (The Secret Cookie Club, 2015). Olivia, Grace, Emma, and Lucy are determined to win Top Cabin as well as rank highest in Chore Score, but when their counselor, Hannah, receives a breakup letter from her boyfriend, the girls rally to support her. They reason that what Hannah needs is a new boyfriend. And what could be better at sparking a summer romance than secret cookies? For their plan to succeed, however, they are going to need everyone’s help. Unfortunately, sometimes it is hard to talk to boys, particularly if one of those boys is the crush-worthy Vivek. The story excels in its direct approach to demographics: Olivia is African-American, the daughter of a successful barbecue-sauce magnate; Grace is biracial, white and ethnic Chinese; Emma is a white, Jewish girl from Philadelphia; Lucy is white and not so well-to-do; Vivek is second-generation Indian-American. While the characters’ interactions are age-appropriate, conflicts dissipate too quickly, robbing the scenes of energy. Rotating narrators as well as letters to and from home offer multiple insights to the tale, but rather than enriching the narrative, they feel like filler for a too-thin plot.